Legendary country singer Willie Nelson has been going through some recent health problems and was forced to cancel several shows in January and early February. Although his rep and son, Lukas Nelson, both assured fans that he would be back on the road, and is feeling a lot better, because of his age of 83, everyone has been on edge. Luckily, their statements were correct. He has been performing at all of his scheduled dates. His most recent cancellation in in advance and is not due to illness. According to Channel 3000, Nelson has cancelled a performance scheduled for June 14 in Madison, Wisconsin. 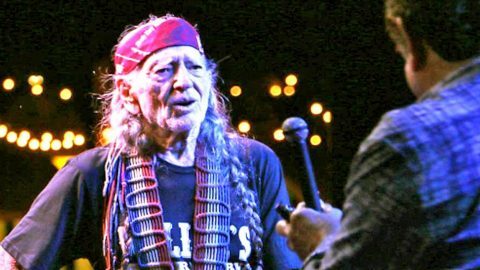 A note on the tour schedule on his official website reads, “Due to a last minute scheduling conflict, Willie Nelson & Family will not be performing in Madison on June 14th. We are working towards securing a new date later this year. All Fan Club ticket purchases will be refunded”. If you have bought tickets to this event, make sure you get your ticket refunded, as they are not sure when he will be back in Madison. His next performance is March 3 in Plant City, Florida at the Florida Strawberry Festival.